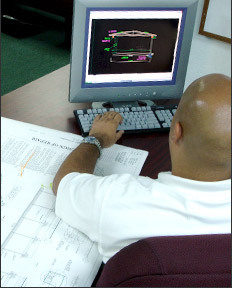 Axiom Engineering has expertise in design of repairs that few can match. The process begins with a thorough site inspection and ends with detailed permit drawings and supporting calculations and other necessary documentation. Axiom Engineering has an excellent track record in the rapid approval of its design documents by numerous local building departments with minimal comments by plan reviewers. As the owner, general contractor, or property manager, you cannot afford to sacrifice quality in your choice of engineering services. Axiom Engineering knows how to assess the condition of your building and guide your problem from a headache to a manageable solution. Not only can we provide all necessary design documentation, but we can handle the competitive bidding process where necessary and manage the construction. Our engineers and drafters are experienced in working with contractors to ensure that your project culminates with a successful repair.